Similarly, the present story of the Israelites’ apostasy, following the cult of Baal at Peor doesn’t make much sense when compared to the positive representation of the Israelites as loyal to Jehovah throughout Numbers 21-24, as God granted them a victory against the Canaanites at Hormah, and against the Amorites in Moab, and again against the desired cursing of the Israelites by the Moabite king Balak. Numbers 25 has a serious contradiction that should not be missed: there seem to be two oral traditions present in this text: an earlier version where the Moabites, specifically Moabite women, lead the Israelites to follow Baal, and a later reworking of this story where the Midianites replace the Moabites. This makes sense, as the Priestly author came later after the Yahwist textual tradition 4. The Priestly author made the case against Moses as the legitimate leader of the House of Israel, and one way he did this was to denigrate Midian, since Moses is married to a Midianite woman, Zipporah (Exodus 2:16-21). By belittling Midian, the author of the P text is lessening the status of Moses. In this Midianite storyline given to us from the Priestly text, the Midiante women which led to the apostasy of Israel is given as the pretext to kill all Midianites except for the virgin girls (Numbers 31:1-20), while nothing is said about the Moabites, since the Moabite women narrative comes to us from a different textual tradition, the Yahwist, or the J author. To me this is evidence that the Priestly author reworked the material of the J text to fit his need to downplay or denigrate Moses. It seems that once we realize that the J narrative came before the P text, that we can see that the original story had the villains of this story be Moabites, only to have the Priestly author change this to the daughters of Midian, as a way of denigrating Moses, as this author has in other texts (see footnote 1). Textual changes like this can make the Bible very confusing, but once we see that these texts were put to paper by schools or authors that were human, with human agendas, we see the Bible more clearly. It is human. It has the fingerprints of humanity all throughout. Despite this, it also contains inspirational truths about Christ throughout it as well. 1. The Mushites were Levitical priests who traced their lineage and authority back to Moses. I would suggest that this body of cultic professionals were what scholars call the “Mushite priests” (from the Hebrew muši, “[ones from] Moshe/Moses” found in Exodus 6:19; Numbers 3:19, 26:58 and elsewhere). This group, which some scholars believed may have controlled some of the major sanctuaries in the north during the early Israelite period, housed priests who claimed descent from Moses. There are other scholars who make a case that these Mushite priests were out of power (see 1 Kings 12), and that they wrote in the hope that the non-Levite priests of the north in Israel would be rejected, and their group would be installed into positions of power. See Friedman, Who wrote the Bible? P. 70-75. 2. In P we read stories that put Moses down, or make Moses appear less than Aaron. Exodus 6:30, a P text, says that Moses is of “uncircumcised lips”. 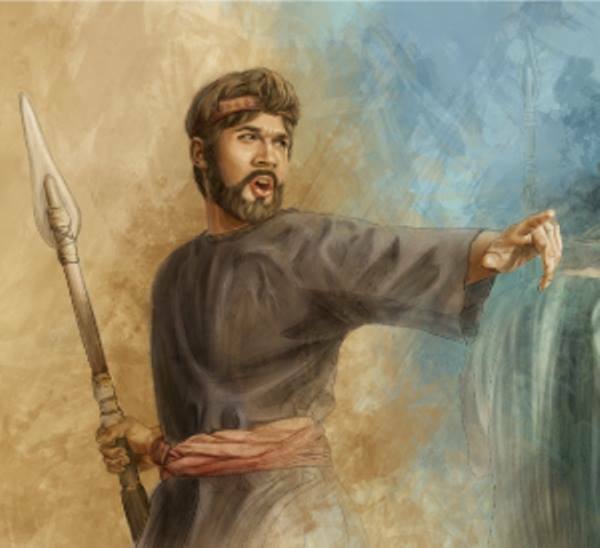 In P Aaron is Moses’ older brother, in P, Moses’ staff is actually Aaron’s staff as well. The Priestly author is very interested in elevating Aaron to a superior position to Moses, thereby establishing the legitimacy of the family of Aaron and its priestly interests. 3. The Bible with Sources Revealed, p. 280. Richard Friedman states: The Balaam episode is perhaps the hardest section in the Torah in which to delineate sources. Most scholars regard this three-chapter story as a composite: first, because they think of the accounts of repeated sets of ambassadors to Balaam as a doublet; and second, because they think there is a contradiction in the story when God tells Balaam to go with the Moabites but then is angry at him for going. I am not at all certain that these things are evidence of two sources. The several embassies to Balaam, each composed of more distinguished ambassadors, may well be the original progression of the story. And the confusion over God’s sending Balaam and then being angry at him is surprising but still understandable as a single author’s development, and it is not easily resolved by separating this section into two sources in any case. Evidence of language is a strong marker of sources than these considerations. The vast majority of the terms and phrases here that are identical with a particular source are typical of E, while only three are typical of J. And there is a particular cluster of terms and phrases here that are also found in Exodus 10 (E). And the deity is referred to as God (Elohim) in narration here seven times. I therefore have marked the story as wholly E, except that I have marked those three J passages so that one can observe them and make of it what one will. This entry was posted in Apostasy, Messiness of scripture, Old Testament, Student questions and tagged apostasy, Baal-Peor, Messiness of scripture. Bookmark the permalink.